Yellow Split Pea Loaf makes an excellent dinner or supper main dish. Usually served cold with salads or in a sandwich, this tasty legume loaf makes for an economical vegetarian or vegan meal. The humble little split pea is a powerhouse of nutrition, full of B vitamins, iron, fibre and low in fat. I suppose I've been eating yellow split peas since I was weaned as a baby. They showed up fairly regularly in our meals in the form of Pease Pudding or this Split Pea Loaf or Roast, as Mom would have called it. 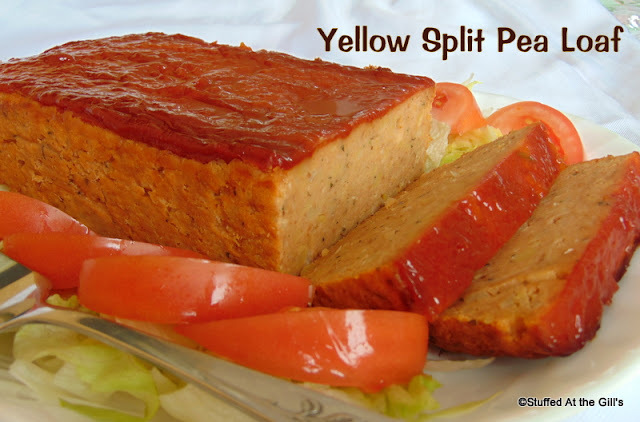 As a child, Split Pea Loaf made regular appearances on the church potluck table where each one was almost like the other with just slight differences in texture and flavour. 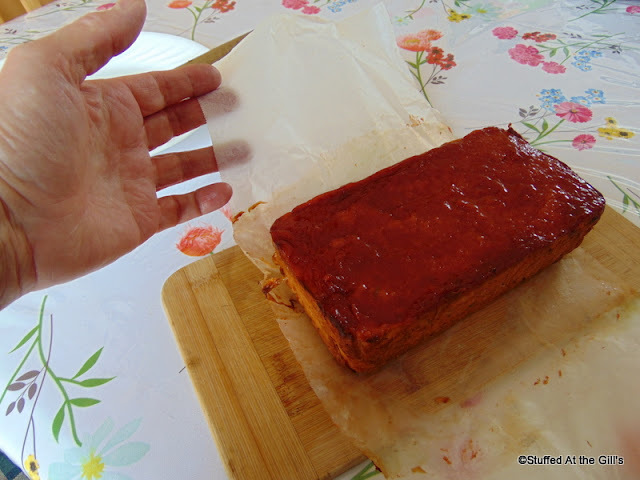 Some were baked in loaf pans and some in square dishes. Some had ketchup toppings and others were plain. It just depended on who had made the loaf how it turned out. When I was a child I never really liked Split Pea Loaf but grew to really like it the older I became. I think it was the absence from my dinner menus that really made me want to eat it again. As the old saying goes, "Absence makes the heart (or stomach in my case) grow fonder." Ha, ha. I once overheard Aunt Amy telling mom that the older she got the more she wanted the food from her childhood. She would have been about my age at that time. I think she had latched onto a significant benchmark of life. 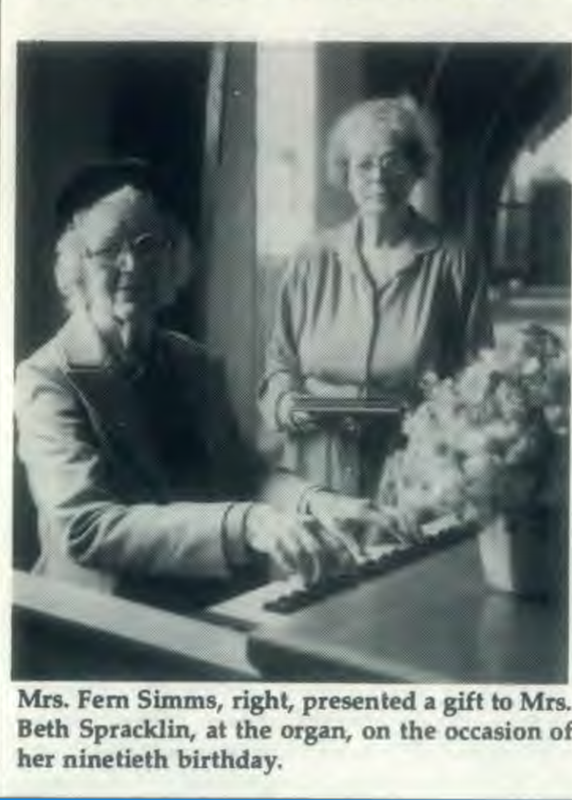 I found this picture of Mrs. Spracklin (on the left) in the archives of the Canadian Adventist Messenger April 1984. She would have celebrated her 90th birthday on February 1, 1984. The other lady, Mrs. Fern Simms, was also a first cousin to my father and Mrs. Spracklin. 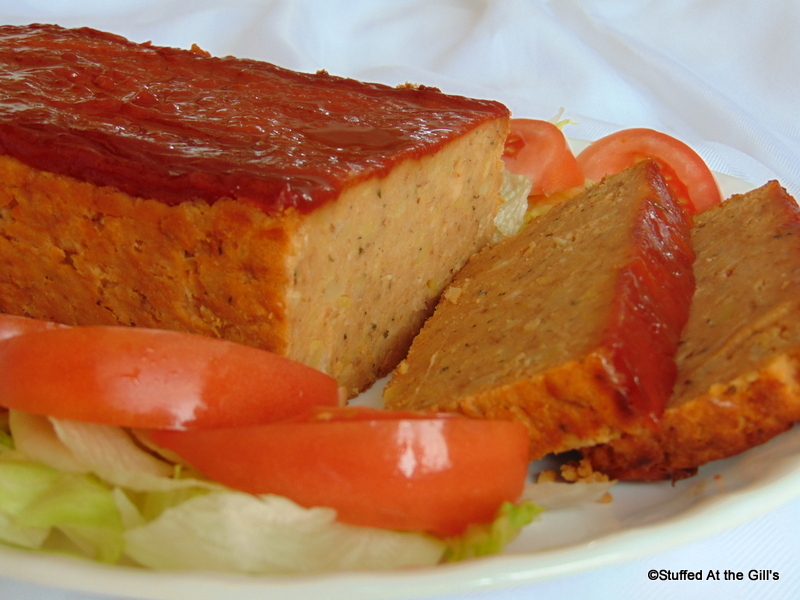 Split Pea Loaf can be made vegetarian or vegan. I can't remember, but I'm sure Mom put eggs in hers because Mom put eggs in everything. I have given the vegan options in brackets. 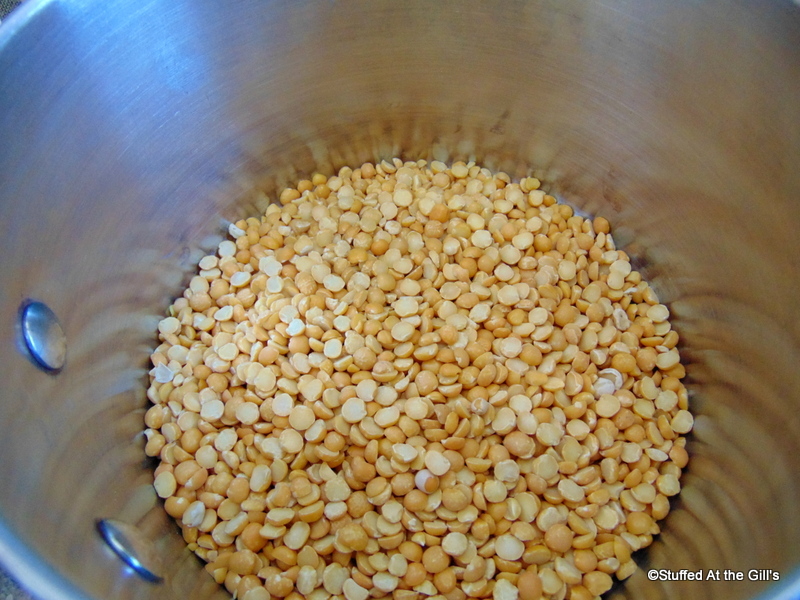 In a medium size saucepan, slowly boil yellow split peas about 45 minutes. 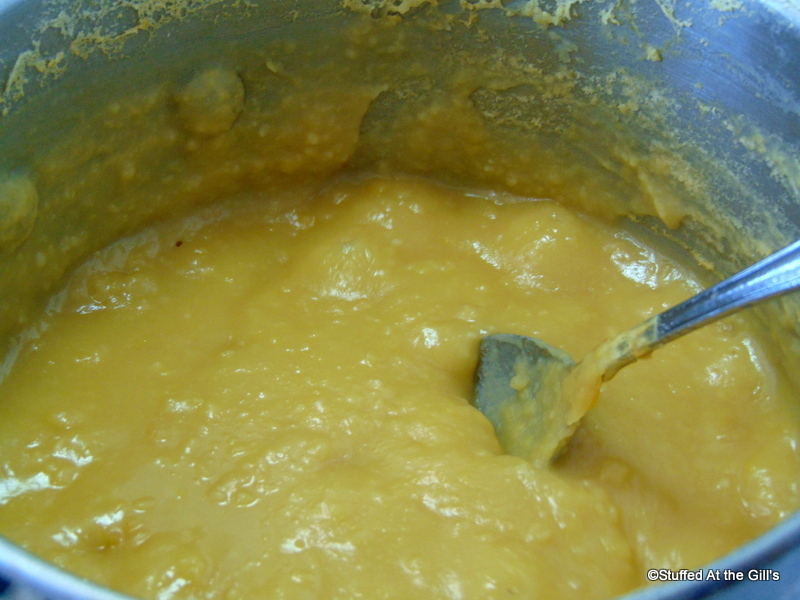 Add bouillon cube and continue boiling until thick and soft. It will take up to 2 hours to achieve a soft but thick consistency. Taste and add salt as needed. You want the peas well seasoned because you will be adding more ingredients. You will have about 2½-3 cups of cooked pea puree. If you wish the peas can be prepared ahead of time and refrigerated until ready to make the loaf. Preheat oven to 350 degrees. 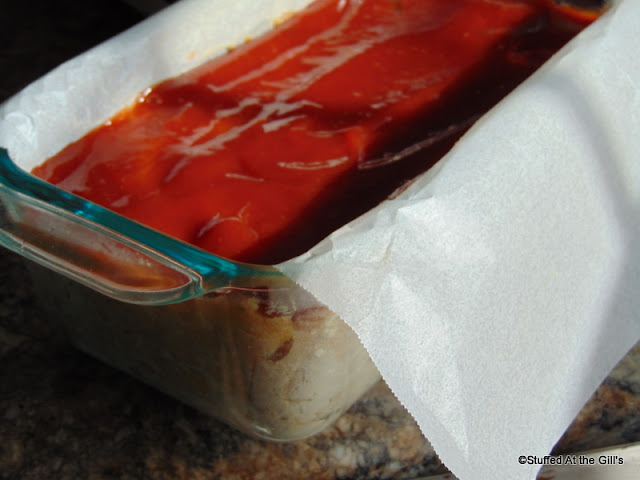 Grease a 9x4-inch loaf pan. You may also line with overhanging parchment paper if you wish to lift the loaf from the pan for serving purposes. 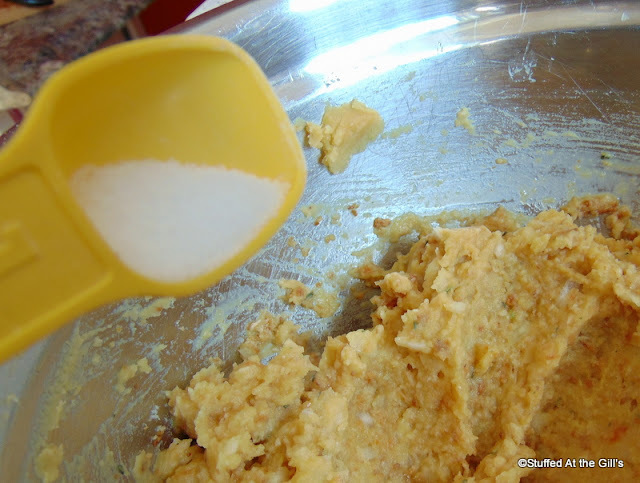 In a large bowl mix the pea puree and all other ingredients together until well combined. 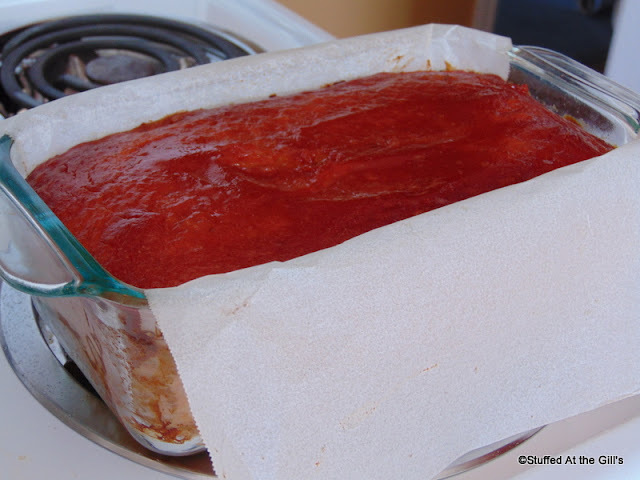 Pack in the prepared loaf pan. If using the topping mix the ketchup mustard and brown sugar together and spread on top of the loaf. Bake 60-70 minutes or until the loaf is firm and cooked through the middle. Remove from oven and let cool completely. Refrigerate until ready to use. Slice the loaf and serve with potato salads or use in a sandwich. Yummy good! Sort and rinse the split peas before cooking. The peas are generally clean but occasionally a small pebble or bit of dirt may be in the bag. Use a medium sized pan to boil the peas. Cover with plenty of water and bring to a slow boil. A SLOW BOIL! See what happens if you leave the burner on high and turn your back for a minute. I just caught this in time. What a mess that would have been. 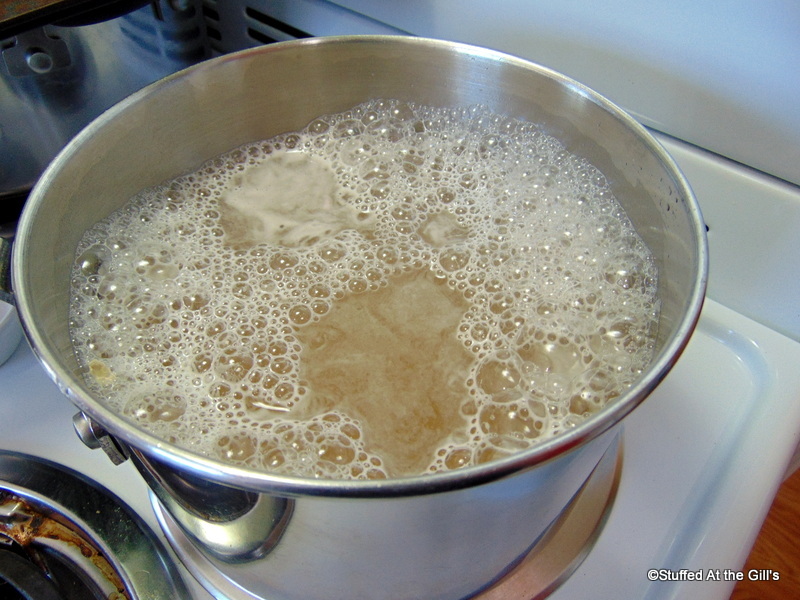 After boiling about 45 minutes, add the bouillon cube and continue to boil until you have a thick consistency. You will have about 2½-3 cups of cooked pea puree. 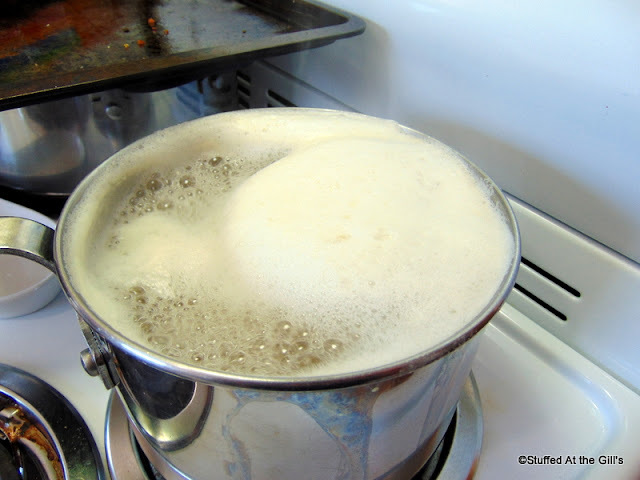 If you have measured/weighed correctly and you have more than 3 cups of cooked peas you may want to let them cook a little longer so more water can cook off. Taste the cooked peas and add the salt. You need this well seasoned because you will be adding more ingredients. 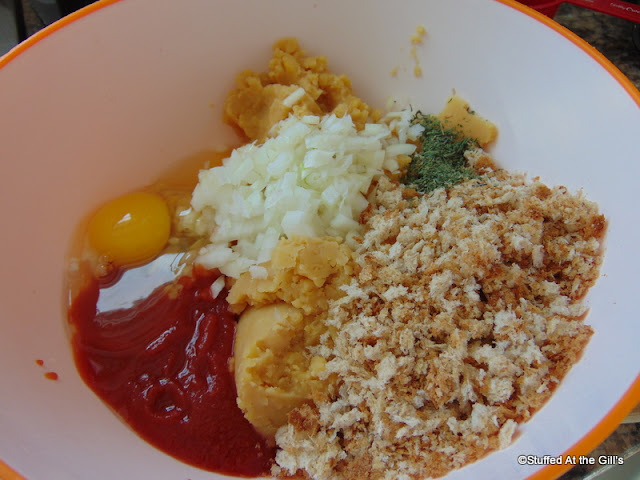 Vegan Option: Place all ingredients in bowl, omitting the eggs and mix together. 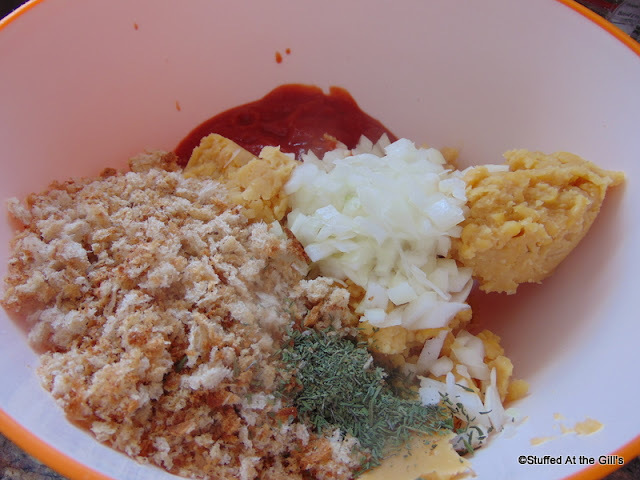 Vegetarian Option: Place all ingredients in a bowl and mix together. Pack the loaf mixture into the prepared loaf pan. I like to line my dish with overhanging parchment paper so I can lift the cooked loaf from the dish. Spread the top of the loaf with the topping, if using. The loaf will bake at least 60 to 70 minutes. 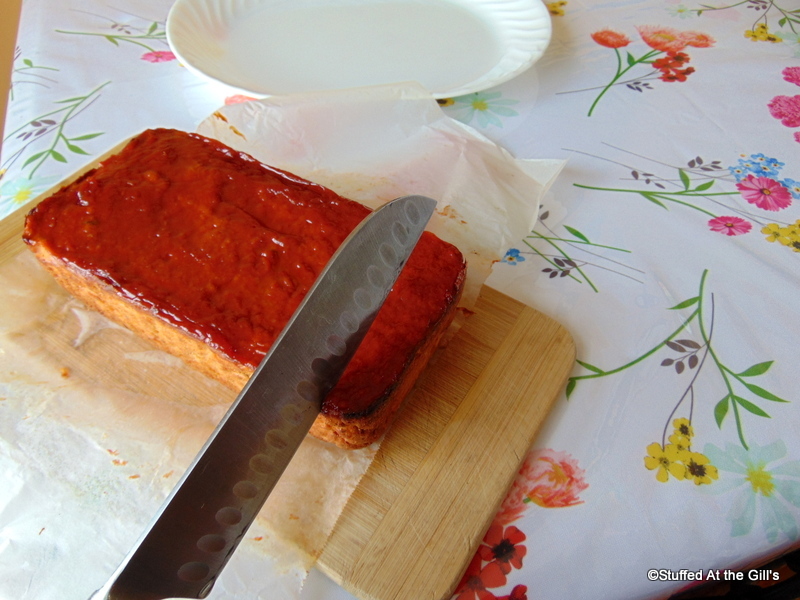 When it is correctly baked it should feel firm but should not show signs of cracking on the top. Let the loaf cool completely in the dish before serving. You may refrigerate if not eating within a few hours. With the parchment paper flaps I easily lifted the cold loaf from the dish. 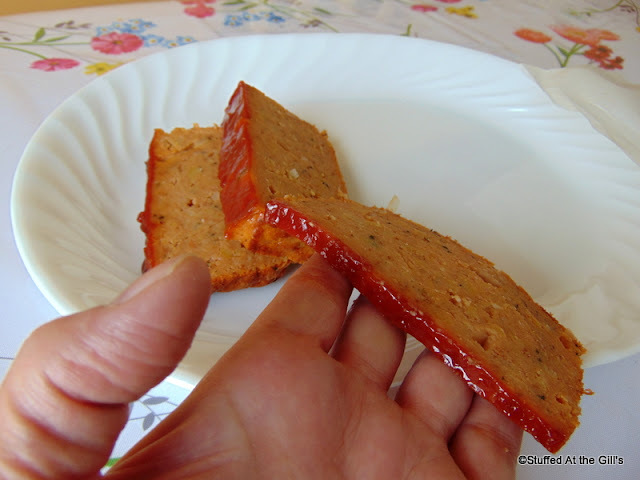 Cut the cold loaf in slices to serve. Thick slices are nice on a salad plate. The thinner slices are good for sandwiches. Place the loaf on a nice serving dish and dress it up for a nice family meal. 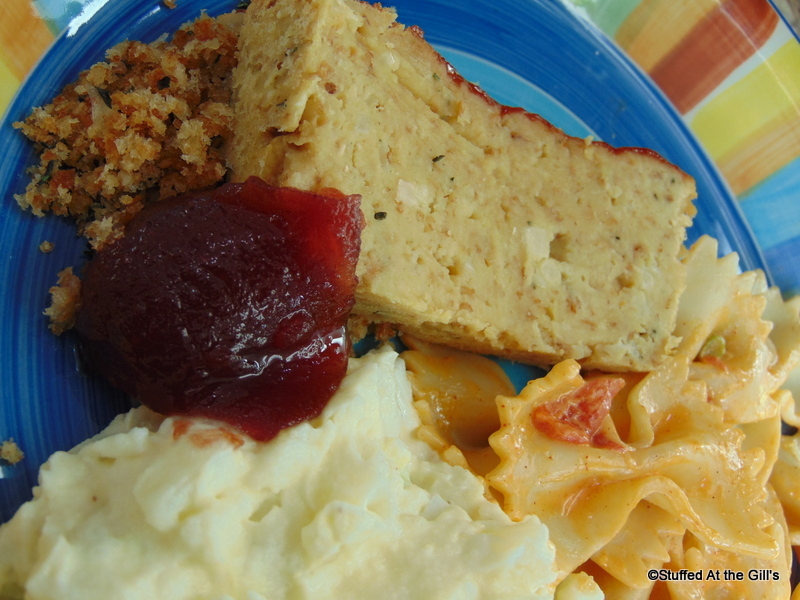 I served the Yellow Split Pea Loaf with a little savoury dressing and cranberry sauce. Potato and pasta salads rounded out the meal. Good on a sandwich. Good on a plate. 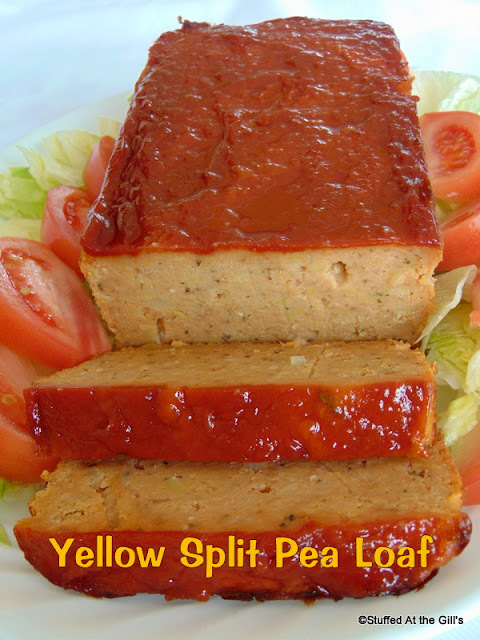 Served cold with salads or in a sandwich, this tasty Split Pea Loaf makes for an economical vegetarian or vegan meal. Prep time includes boiling the peas.